Like a phoenix from the ashes, the dark knight rises. To fumble again. To crumble again. After all, even Batman is human. He crimps. He limps. He walks with a stick. And while in exile, he is forced to think: Is he but an instrument in the war against evil? The real war, however, is fought by the people. A superhero he is not. A fallen hero perhaps. For he believes–in every man lies a dormant heroic will. But will he be overpowered by necessary evil? 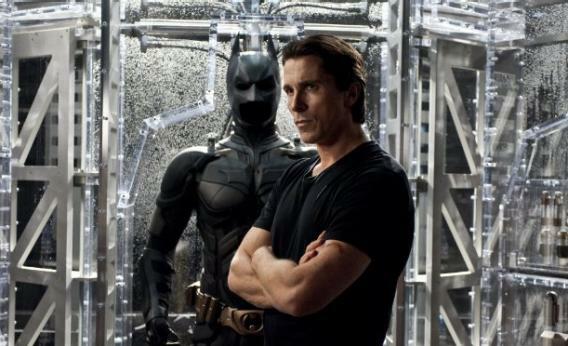 My lyrical verbose apart, The Dark Knight Rises is a befitting finale to Nolan’s Batman trilogy. It’s not half as dark and layered as its previous installment. The subtext too is barely-there and clichéd in favor of a more commercially viable and fan-base appeasing plot. Where it scores high is execution and its intent to entertain and inspire before bidding us fans goodbye. Yes, The Dark Knight Rises inspires different audiences (especially of the film enthusiast variety) in different capacities. It inspires writers to pen crisp, strong and philosophy-spewing dialogues that give you goose bumps. While the antagonist Bane (played menacingly by Tom Hardy) consistently overpowers Batman, his dialogues punch you harder than his physical blows: Peace has cost you your strength! Victory has defeated you! Let me file my suit away! Or when the blind prisoner makes Bruce face not just his fears but also accept it as his strength with words of wisdom: How can you move faster than possible, fight longer than possible, without the most powerful impulse of the spirit: the fear of death. Mistake not, it inspires filmmakers to script plot-driven, meticulous and neatly crafted screenplays. Of course, there are loopholes and Nolan could’ve easily plugged those. But then, let’s not forget that willing suspension of disbelief is a prerequisite for superhero movies. It also inspires film editors to splice their scenes as slick as slick can be. 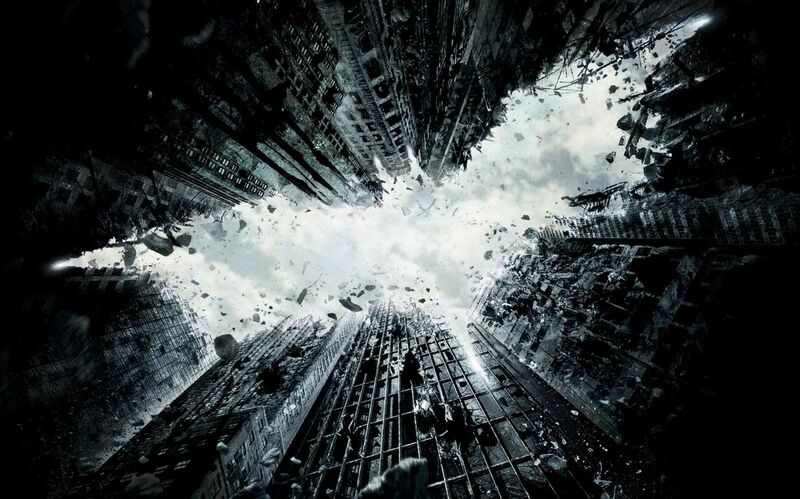 And man, does it inspire musicians to score a score like Hans Zimmer’s haunting ode. Relish it in its entirety here. It inspires actors when they see Tom Hardy emote despite a horrible mask that covers most of his face. His body language oozes evil. Such shortcomings apart, to trump it all, his husky voice adds more muscle to his character than his overpowering shoulders. Why, even the Inception-like Nolanesque climax inspires directors to employ their trademark, talismanic, oft-repeated-yet-always-effective techniques and plot devices to entertain at the cost of hyperbole. It even inspires the everyday hero in you to continue to evolve. But beware! Does cinema unintentionally and subconsciously also inspire the evil that men do? Thou Shalt Not Do Good! 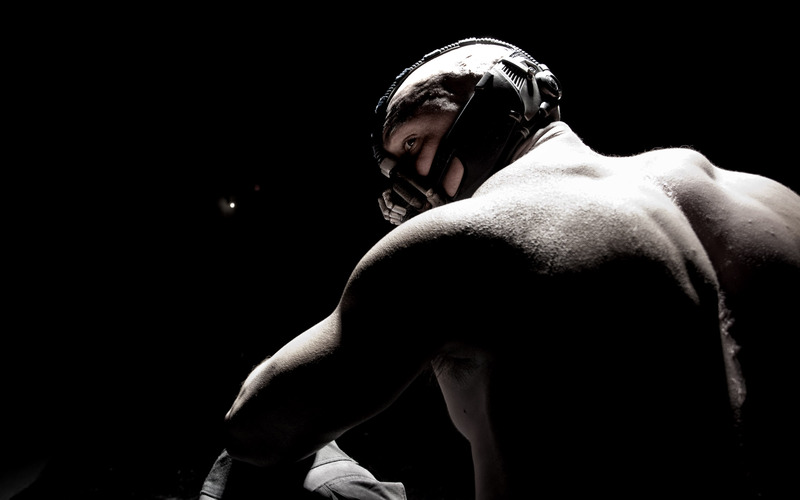 Real-life crime, terrorism and inhuman acts inspire directors to conceive reel-life antagonists like Bane, who seems invincible and almost gets his victory against Batman, or the good side. Sadly, as if coming full circle, this reel-life evil in-turn seems to inspire real-life acts of terror, like the Colorado massacre where precious lives were lost. And similar to the climax theater burning episode in Inglorious Basterds, slowly but surely this evil fire seems to engulf and affect us all. Are such terror acts mere coincidences? Or, perhaps, a curse as claimed by some? Like Detective Blake (a promising Joseph Gordon-Levitt, all geared up to play Robin next), my rational mind refuses to believe in curses and coincidences. Creators cannot, and must not, stop depicting evil in their creations as, like yin and yang, it is yet another undeniable side of the same coin. But are we doing something wrong, somewhere? Maybe, toning down the violence will help? Maybe, clearly demarcating right and wrong at the cost of moralizing will do the trick? For a Dickensian take on the masked crusader, read David’s review. Tags: batman, batman dialogues, christian bale, Christopher Nolan, did Batman inspire denver shooting, does cinema inspire terror, evil, Review, Terrorism, the dark knight rises, tom hardy. Bookmark the permalink. Cinema, while at times exploitative or trashy, is merely a reflection of society. A lunatic hell bent on harm will find “inspiration” from somewhere…always…violence existed long before film held up a mirror to it. Excellent, thought provoking piece! I agree that there is no dearth of ‘inspiration’ for miscreants to wreck havoc. But does that absolve the creative fraternity from the responsibility of pulling the reins on mindless depiction of crime and violence? Cinema being a very strong medium, it’s reach in the last few decades going further than literature and books even, the onus, I personally feel is also on it’s creators to practice restraint. Of course, without compromising on creativity.